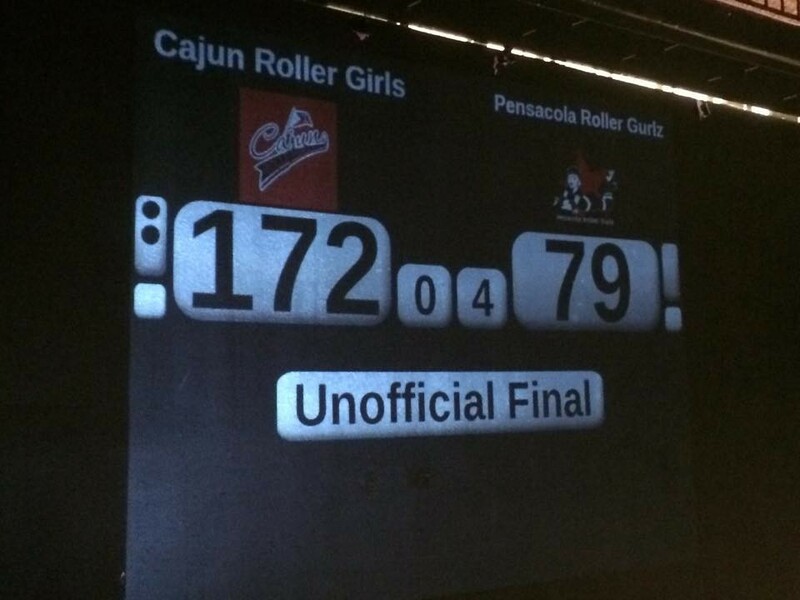 Cajun Rollergirls Take the Win Over Pensacola! Your final score from Big Warren – your Cajun Rollergirls take the victory over the Pensacola Roller Gurlz. Thanks so much to PRG for coming out; to our refs, NSOs and volunteers for their hard work; and to you, CRG Nation, who came out in the nasty weather to support local roller derby! Cajun Rollergirls Help the Good Samaritan Food Bank	CRG to face BERG’s Crescent Wenches April 18!